The Malta national futsal team will be back in action next week with another two home friendly matches against Northern Ireland. Talking to www.mfa.com.mt, national futsal coach Vic Hermans said he’s confident that his side will be better prepared this time around as the league has now started and physically his players should be in a better shape. “Against the Netherlands, we were still at an early stage of our preparations and our opponents were much stronger," Hermans said. The games are scheduled for this coming Friday and Saturday at the National School of Sport. 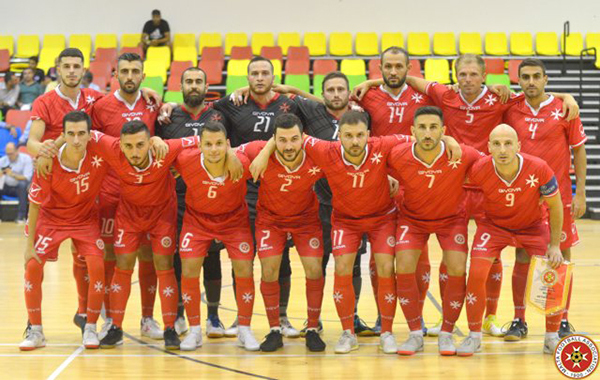 In late September, Malta lost twice in friendly matches against the Netherlands, 7-2 and 8-0, but with the players in a better physical condition, there is cautious optimism of better results for our national futsal team in these two friendly matches. With most Valletta players available following their exploits with their club in the UEFA Futsal Champions League last month, Hermans has more options at his disposal before finally deciding his group of players. There are five new faces in the provisional 16-man squad for the Northern Ireland double fixture - Andre Ciancio, Melvin Borg, Kurt Bartolo, Lee Grech and Gary Inguanez. On Monday, the national futsal squad starts training for these two matches – on Friday 26th and Saturday 27thOctober against Northern Ireland at the National School of Sport. Both games kick off at 18.30. Stefan Vella (Valletta), Clint Mifsud (Luxol), Matthew Attard (Luxol), Jovica Milijic (Valletta), Carl Azzopardi (Luxol), Mark Zammit (Luxol), Andre Ciancio (Swieqi), Andy Mangion (Luxol), Melvin Borg (Valletta), Dylan Musu (Valletta), Kurt Bartolo (Pieta), Rennie Tanti (Birkirkara), Giancarlo Sammut (Luxol), Lee Grech (University), Marwan Telisi (Birkirkara), Gary Inguanez (Birkirkara).